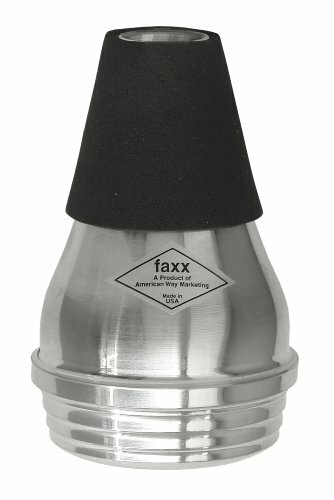 This trumpet practice mute from FAXX allows you to lower your volume without muffling your tone. The mute is lightweight, easy blowing, and designed to reduce volume by up to 80% without sacrificing intonation. Durably manufactured, this mute is small enough to be stored inside the bell of the trumpet while in the case for the traveling musician. It's is a great accessory for anyone that needs to get their practice time in, but a little quieter while doing so! If you have any questions about this product by Faxx, contact us by completing and submitting the form below. If you are looking for a specif part number, please include it with your message.